There are so many add-on’s for Mozilla Firefox, that it can become a headache to sort through all of them. If you are an internet marketer there are tons of valuable SEO addons for Firefox that are free and can save you hours of time. I will discuss a few of the more popular search engine optimization add ons below. Pulls useful market research data right into Google’s and Yahoo!’s search results, including the following data near each search result. Shows information such as: Google PageRank, website age, inbound links, .edu links, .gov links, social media data, technorati, Alexa rank, cached pages, dmoz listing, Yahoo Directory listing, WhoIs, and much more. There are two parts, the SeoBar and search engine results information. 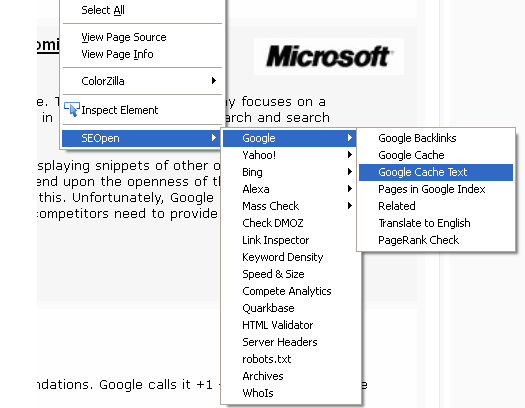 SeoBar can be described as an additional toolbar, which shows the values of selected parameters for the page currently opened in the browser window. Set of parameters shown by SeoBar is fully customizable by user. SeoQuake shows values of the parameters for search results under each search result shown on SERP. Set of parameters shown is fully customizable by user. Loading of parameters can be handled in two different ways – simultaneously with the loading of the SERP or after SERP loading, by user demand. Ranking of the results by selected parameter in ascending/descending order and storing results in file are available features. This is the most popular Firefox SEO addon for webmasters. So I assume that it is most likely that you are already using this Firefox SEO addon. This toolbar has all the tools that a designer would require to test the design and layout of a webpage such as in analyzing style. It also allows you to view the site without images, shows the layout format, outlines tables, forms etc, validates the code, among the many other things that this addon can perform. 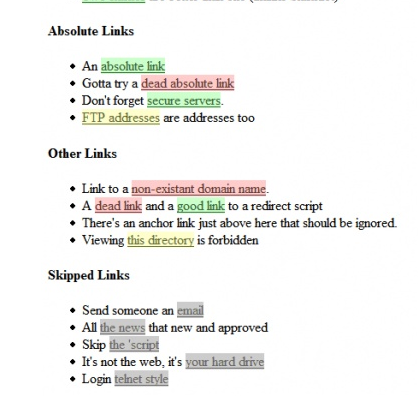 LinkChecker checks the validity of links on any webpage. 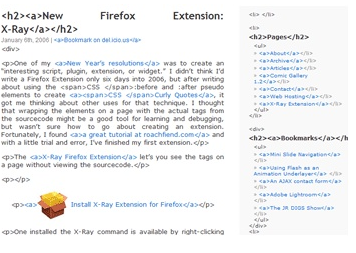 Check webpage links at a glance with simple color coding. Ditch those massive listings of bad links that provide no context and add LinkChecker to your arsenal of web development tools today. The User Agent Switcher extension adds a menu and a toolbar button to switch the user agent of a browser. View websites in different browsers and mobile devices with this useful tool. Download User Agent Switcher today! Foxy SEO Tool is a free, open source toolbar that provides quick and easy access to a multitude of search engine functions such as Google Site, Yahoo! Site Explorer, Live Fromlinks. Also included are famous web traffic analysis sites such as Alexa, Compete, Quantcast, popular statistic aggregators like Quarkbase and WebSiteOutlook. You can check a site’s listing in important directories like Dmoz and Yahoo! Directory, buzzing Web 2.0 sites such as Technocrati, Wikipedia, Digg, Delicious and links to useful network functions like Whois, Geotool, Internet Archive, etc. Download Foxy SEO Tool today! One installed the X-Ray command is available by right-clicking as well as in the Tools menu. When applied to a page it can help you see how the document was constructed without having to go back and forth between the source code and the page in your browser. Is that list made of li, dd or p elements? Is that an h3 tag or just some bolded text? X-Ray shows you what’s beneath the surface of the page. KGen (Keyword Generator) allows you to see what keywords are strong on visited web pages for search engines. Flagfox provides a wide range of uses such as: Site safety and malware checks, Finding similar sites and reviews, Automatic translation to your language, SEO and web development research, Diagnostics like pings and traceroutes, Whois and DNS information, Page code validation, Quick URL shortening, Copying a server’s IP address or other info, or you can create your own custom actions! What Mozilla Firefox addon’s do you use to help with your daily search engine optimization / internet marketing techniques? Leave your responses below. I discovered it for him… lol. Sо ⅼet me reword this…. time to talk about this issue һere on your site.